Speaking on 'Promoting Efficiency and Clean Fuels in African Refining and Petrochemicals Market' at the Oil Trading and Logistics (OTL) conference in Lagos yesterday, Dangote Group's executive director, Devakumar Edwin, said that the refinery was investing in the most advanced units to produce Euro V fuel to help Nigeria meet the European standard of gasoline. Edwin, who was represented by the director, business strategy and optimisation, Dangote Refinery, Srinivas Rachakonda, said that the refinery would provide thousands of direct and indirect jobs and add value to Nigeria's economic development.He noted that the facility would lead to significant skills transfer and technology acquisition opportunities in the country. 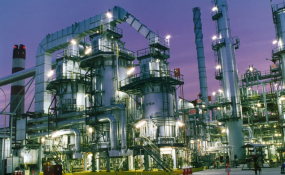 The first phase is expected to deliver gas for the use of Dangote industries, including the proposed fertiliser plant in the refinery complex, and other identified industrial and power plant users. Speaking during the session, former executive secretary of the Petroleum Product Pricing Regulatory Agency (PPPRA), Reginald Stanley, said that Dangote Refinery "is going to be a game-changer" for the entire African downstream industry. He condemned the continuous importation of dirty fuel. "Emission is the highest killer today in Nigeria. I commend Dangote Refinery for its decision to produce Euro V specification of gasoline. Dumping of toxic fuel in the country is not acceptable. The earlier they stop it, the better for us," he added.